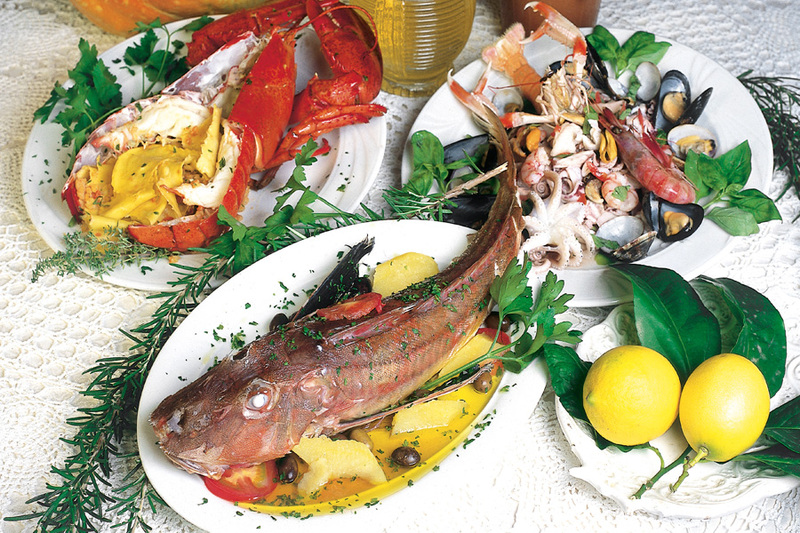 The Ligurian Sea is characterized by the quality of its catch, rather high due to the presence of many valuable species. The coasts are particularly rich in octopuses, black musky octopus, white musky octopus, calamari, cuttlefish and squids of the Ilex genus. Crustaceans have a high economic value. In the recesses of the rocks and in the underwater fields of Posidonia it is possible to find the sea cicadas, on the rocky seabed there are Mediterranean and Homarus lobsters, and on the muddy and sandy depths there are the Mantis shrimps. In deeper waters prawn and shrimps are fished. The most popular crustaceans are red shrimps, with the species Aristeus antennatus and Aristeomorpha foliacea. Sea and brittle stars, urchins and sea cucumbers do not gain much attention from the point of view of fishing; however, sea urchins can be a gourmet dish and sea cucumbers can be used as bait for longline fishing. The species of fish that live in more or less close contact with the Ligurian seabed are: sole, redfish, rock and mud mullet. Among the fish linked to the coastal environment, particularly valuable are grouper, sea bass and comber.